Eating dates are beneficial for pregnant women and nursing mothers. 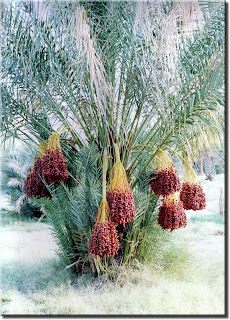 Dates are useful in the treatment of respiratory disorders, heart conditions, cancer, anemia, allergies, and constipation. Put the dates in a small bowl and sprinkle with the warm water. Soak for 5 minutes to soften, then drain. In a blender, combine the dates, almond milk, yogurt, banana, ice cubes and the 1/8 teaspoon nutmeg. Pour into tall, chilled glasses and garnish each with a dusting of nutmeg.